Arnos Vale, St. Vincent – The St. Vincent and the Grenadines Cricket Association (SVGCA) Inc. for the second consecutive year has received the prestigious award of Sports Association of the Year, 2018. The national sports awards ceremony hosted annually by the National Sports Council (NSC) was held at the Community College in Villa on March 16, 2019. Other nominees for this category were SVG Swimming Federation, Team Athletics SVG, and the SVG Volleyball Association. According to NSC, SVGCA Inc. advanced as the winner following a successful year on and off the field. Some specific accomplishments considered were improved performances for the national under 15 team in the Windward Islands tournament; execution of four national male senior tournaments, two female tournaments, and two youth tournaments. Additionally, the cricket association made a financial contribution to a national Zero Hunger Trust Fund and assisted four national female cricketers in their technical vocational education with the purchase of tools. There was further mention of the association establishing a company (Vincy Sports Ltd) as a commercial arm to improve its revenue stream. 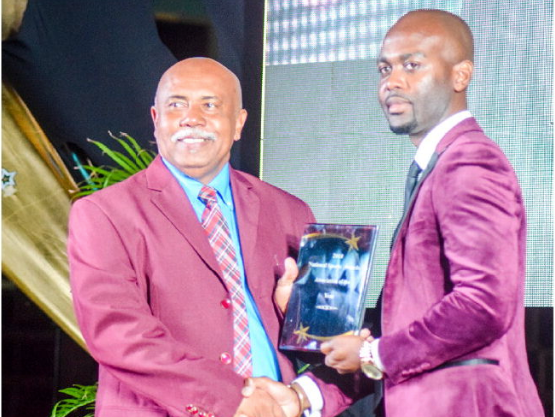 Cricketer, Obed Mc Coy also capped the national senior sportsman of the year award. He played off competition from other Windies cricketers, Sunil Ambris and Kesrick Williams. In the senior female category, Cordel Jack and Juliana Nero were outshined by marathon athlete, Linda McDowall. National under 15 cricketer Reshawn Lewis also missed out on the youth male award. The theme of the event was Sports a Catalyst for Socio-Economic Advancement, with Dr. Shallow being the keynote speaker. Dr. Shallow’s delivery echoed the social and financial gains of sports in the context of the Caribbean, making some references to cricket, particularly the impact on the economy. “While most sports have the potential to generate much-needed revenue for sportspersons, cricketers are the most privileged… administrative staff and technical staff (coaches, physio, officials etc) also earn handsome salaries… When such monies are earned by our players and others, their families and the communities are impacted positively… Differently put, most of the revenue is injected and circulated in the economy,” said Dr. Shallow. The award ceremony was attended by members of Cabinet, Speaker of the House of Assembly, SVG; Speaker of the House of Assembly, OECS; athletes; managers; coaches; and other sports enthusiasts.